At JavaOne Latin America in June 2015 our CEO Ruslan Synytsky, presented a session about DevOps with containers for Java. He addressed a variety of challenges and scenarios facing developers and ultimately provided a solution. Session Description: Containers have changed the mind of IT in DevOps. They enable developers to work with dev, test, stage and production environments identically. Containers provide the right abstraction for Microservices and many cloud platforms have integrated them into deployment pipelines. DevOps and Containers together help companies to achieve their business goals faster and more effectively. At this session, we will review the current landscape of DevOps with Containers. In addition, we will discuss known issues and solutions for enterprise Java applications in Containers. Ruslan reviews the Dev and Ops problems throughout Java application lifecycle, DevOps pipeline, microservices, virtual machines versus containers, the revival of containers technology, smart clustering for complex applications, Jelastic Cloud features, the landscape of the cloud in Brazil, Public Cloud, Private Cloud, Hybrid Cloud, Multi Cloud and the star team of Jelastic Advisers. You can download a fully animated version of the presentation to get a better idea how DevOps processes can be handled within Jelastic to increase the performance of your Java application. 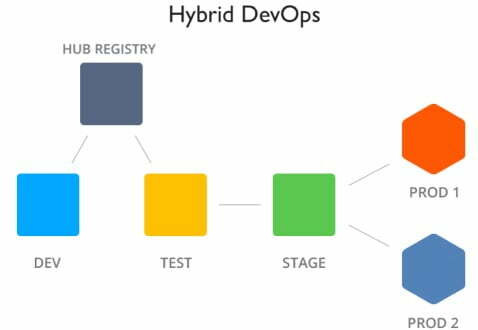 We can provide a production ready solution for enterprise devops workloads. Jelastic allows to create an isolated VPC for each important customer using additional regions from custom data centers or external clouds, including Microsoft Azure, IBM Cloud, Google Cloud and AWS, in case of a temporary burst, with no need to invest in hardware for variable loads. This solution allows to gain HA (high availability) and DR (disaster recovery) across multiple data centers. Register to try out Jelastic Virtual Private Cloud – install in hours, test for weeks.